No weird movements this time. Try to spot the differences! The older version looks a little "gentler" while this version is much sharper, her mouth is open wider and her eyes are more piercing. I really love the lighting and attention to detail. I love this!! (big rock fan here) And the cable around her leg... perfect! 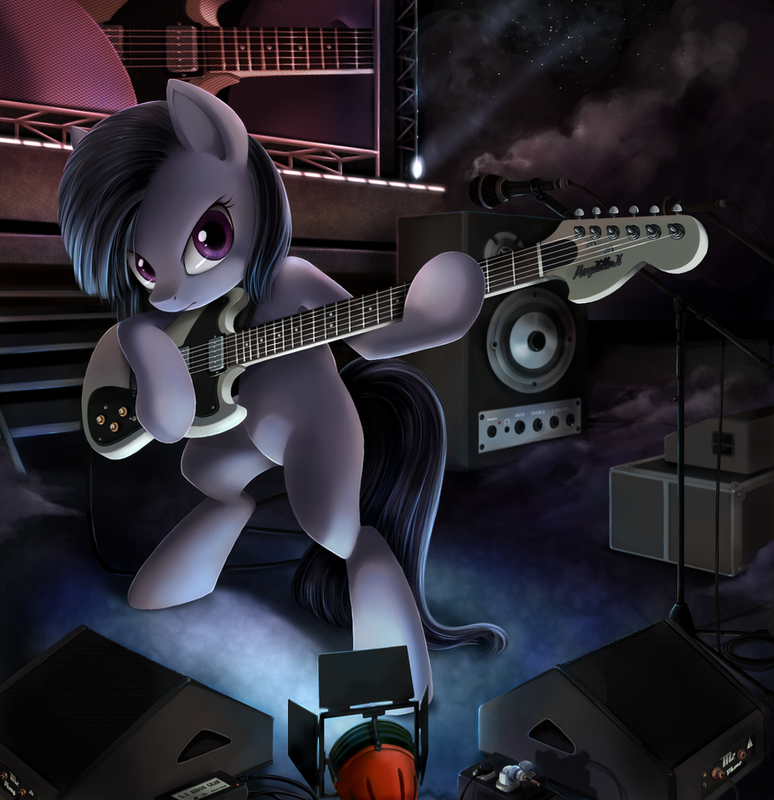 We need more ponies with guitars! Incredible picture. An epic win, if that's not too old fashioned to say. Hello! Can we use your awesome picture as poster for brony concert in Moscow, Russia? Pretty please! Yay! That's super cool! Thanks! This is just amazing, i love it! > No weird movements this time. Until she tries to walk away from the amp. It's Dave Mustaine as a pony!!! Smile to the Sympony of Destruction! P.S. The misspelling is intentional. That's because I am everywhere. What you did there... I see it. It's like pinkie is doing the guitar part! omg! look at this while listening to discord the song on youtube!! !